Gold cuff with a Psalms verse inscribed around it in biblical Hebrew font. 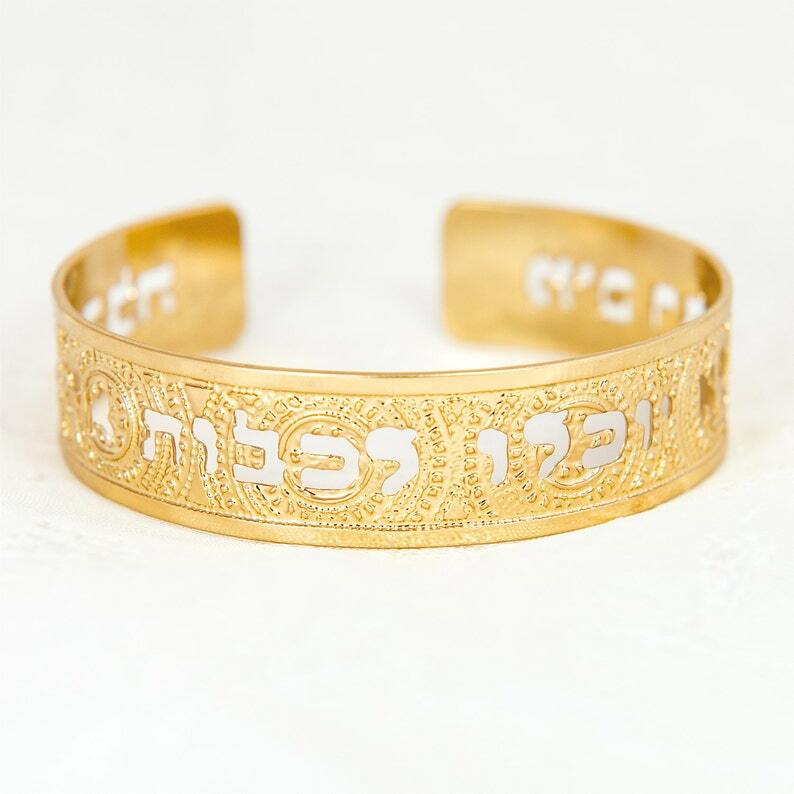 1/2 inch tall cuff dipped in gold with an engraved design. Part of the Judaica jewelry collection I call "Keren Or". The texture on the cuff is incredible - it has the feel of diamond cut that is so bright it shines. The picture truly does not do it justice. "Mayim rabim lo yuchlu lechabot et ha'ahava"